Chris Telden, with a B.A. in sociology, has been writing online about health and lifestyle issues that interest her for nearly a decade. Coconut oil is reputed to have numerous health benefits, including healthy weight loss, the lowering of blood cholesterol and triglycerides, and help for thyroid abnormalities. Whether or not these claims are substantiated, we don't know--the research is still coming in. But we do know that coconut oil contains lauric acid. Benefits of lauric acid are many - for example, it makes the body produce monolaurin, a monoglyceride with an antimicrobial action. Coconut oil has a higher smoking point than many other vegetable oils. It also tastes good. Virgin coconut oil is popular on the market, touted for its superiority over coconut oil derived from dried coconut, or copra. Coconut oil is versatile and easy to incorporate into recipes. Here are tips for how to incorporate coconut oil into your diet so you can see for yourself if the health benefits are real. There is no such thing as extra virgin coconut oil. Perhaps the use of the phrase "extra virgin coconut oil" by some coconut oil suppliers is due to consumer confidence in the known health benefits of extra virgin olive oil. But it's just plain virgin. In the olden days, if you told a doctor you wanted to incorporate coconut oil into your diet, you'd be looked at askance and lectured on the health hazards of saturated fats. Coconut oil was considered one of the worst of the saturated fats offenders, a potential cause of atherosclerosis and heart disease. Yet by and large these studies, conducted in previous decades, used hydrogenated coconut oil, a trans-fat, instead of virgin coconut oil or expeller pressed, trans-fat-free coconut oil in their research. Since then, according to lipid biochemistry researcher Mary G. Enig. PhD, a number of studies have been conducted using non-hydrogenated coconut oil. These research studies have told a different story. While the field of nutrition is always in flux, the results look promising. 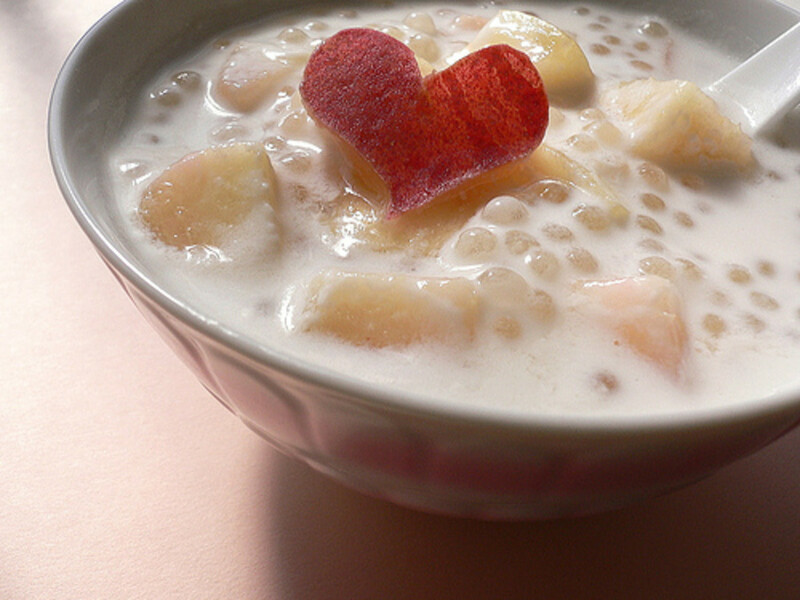 A 2004 study appearing in Clinical Biochemistry demonstrated that eating virgin coconut lowered the cholesterol (both total and LDL, the "bad cholesterol") and triglycerides in lab mice. In the end, time and further research will tell whether or not the health benefits, if any, make it worthwhile to incorporate coconut oil into your diet every day. See the section entitled Research on Coconut Oil below to check out some recent studies. Coconut butter is simply another name for coconut oil. The term "butter" probably comes from the fact that coconut oil solidifies at 20 degrees C.
Never heat coconut oil past the smoking point. Don't re-use coconut oil when frying. If it turns yellow, discard it. Store coconut butter at room temperature. If stored in the refrigerator, it will be too hard to use. Coconut oil turns solid in cooler weather (68 degrees Fahrenheit) and becomes liquid in warm weather. Coconut butter's tendency to firm up when cooled can be used to advantage to create creamy confections that don't need egg or starch to thicken them when stored in the refrigerator. 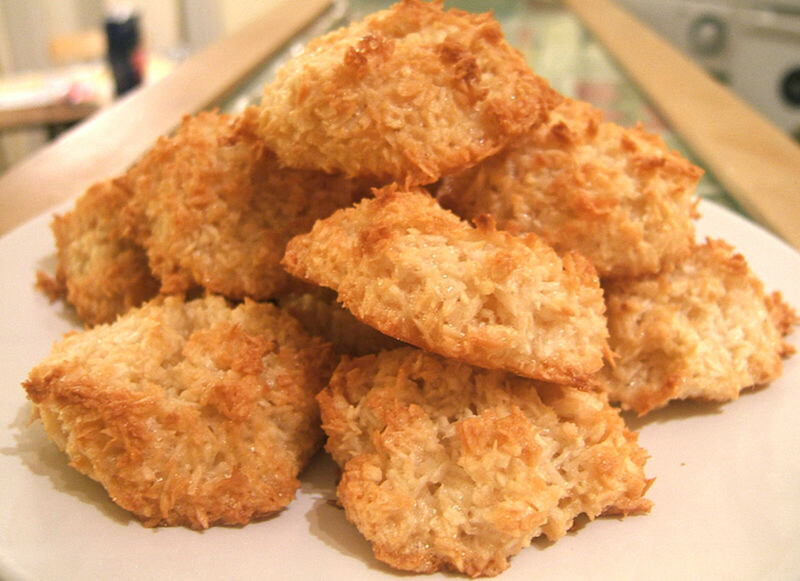 Use virgin coconut oil in dishes, baked goods or snacks in which you don't mind the strong coconuty taste. Use the more bland-tasting expeller pressed coconut oil for frying, baking and in cooking meals that you prefer not to taste like coconut. Spread virgin coconut oil on toast or bagels instead of butter. For a more flavorful version, make a "buttery" spread by whipping up coconut oil, olive oil, salt and chopped garlic. Store in the fridge. Melt virgin coconut oil over steamed broccoli, brussels sprouts or other veggies. Add virgin coconut oil to soups as a last-minute addition. The soups will be more filling, and its flavors will disguise some of the coconuty taste. Warning: Do a taste test first on a spoonful to make sure the tastes are compatable. Blend a smoothie with coconut oil. The key to incorporating coconut oil into a smoothie is to melt the coconut oil first if it's in a solid state, and then to use all room-temperature ingredients, such as bananas, nuts, etc. Any cold ingredient or chilling of the smoothie will cause the coconut oil to de-emulsify as it chills. Adding citrus such as lemon or orange can help make a non-cold smoothie taste refreshing. 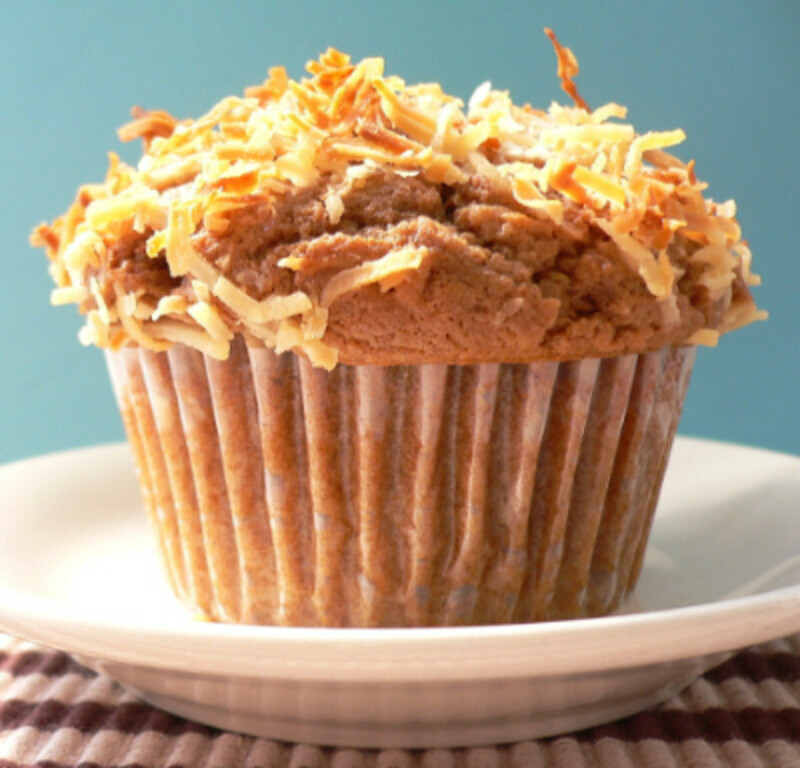 Use coconut oil instead of shortening or butter in baked goods such as muffins, cookies and cake. Use slightly less (subtract about 2 tablespoons per cup) than the recipe calls for. 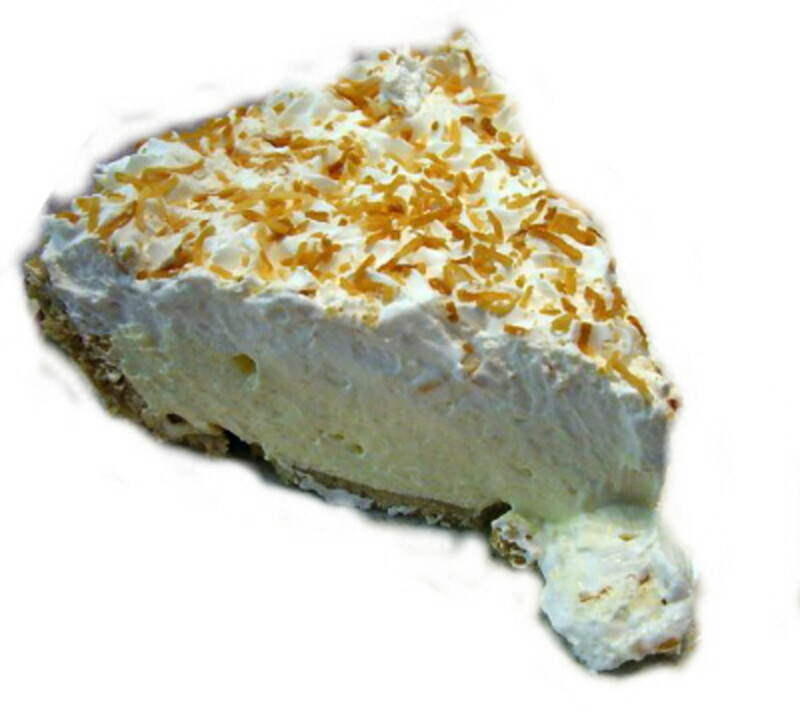 Incorporate coconut oil into pie crust recipes. If replacing oil in an oil-based pie crust, use the same quantity. If replacing butter or shortening, reduce the amount by 1-2 tablespoons and chill it in the refrigerator for no more than five minutes to get it into a solid state but not so hard it can't be cut with a pastry cutter or fork. Coconut oil recipes either use virgin coconut oil, expeller pressed coconut oil, or full-fat coconut milk (which has a high oil content). All these sources of coconut oil still have the high concentration of healthy lauric acid. If you want to get the health benefits of coconut oil made from fresh coconuts, use virgin coconut oil rather than expeller pressed oil or coconut milk from a can. Refined expeller-pressed coconut oils and canned coconut milk are generally made from dried copra. 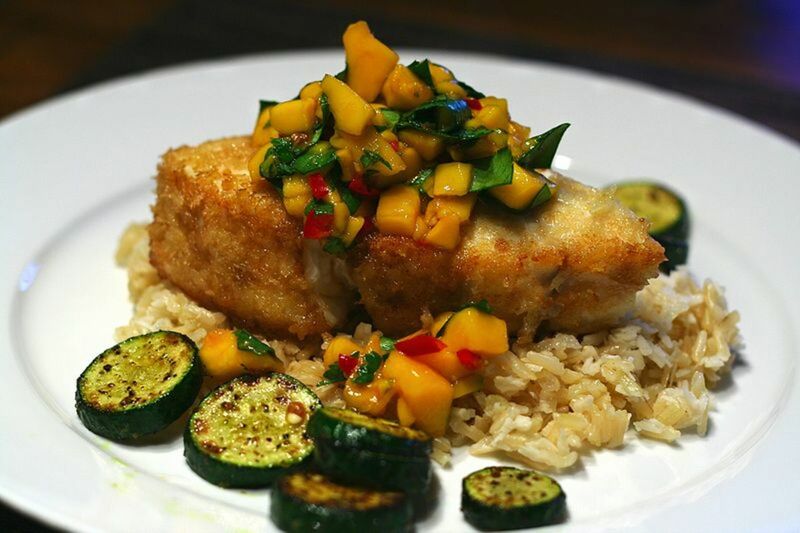 Here are some easy recipes to help you incorporate coconut oil into your diet. For a list of additional cooking suggestions, see below. Sugar-free coconut-chocolate bark: Inspired by The Coconut Diet's recipe, this recipe takes advantage of coconut oil's tendency to become rock hard when cold. It calls simply for 1/2 cup of virgin coconut oil, 2 tablespoon of cocoa (regular or Dutch process), and white stevia powder to taste. Warm up the coconut in a saucepan until liquid. Mix in the other ingredients, adding just a smidgeon of the stevia at first, then slightly more until it's sweet enough for your taste. Add chopped or whole roasted almonds, optionally. Pour into a rimmed baking dish lined with wax paper. Refrigerate for 15 minutes, until hardened. Break off pieces and store them in the fridge in a tightly-sealed container. Pan-fried tortilla sandwiches: This delicious recipe, with its spicy ingredients, is terrific for masking the sometimes strong taste of virgin coconut oil. Smooth refried beans, a sprinkling of shredded cheddar or jack cheese, and a glob of salsa between your favorite type of wheat or low-carb tortillas. In a frying pan, fry the "tortilla sandwich" on either side in a generous amount (a few tablespoons) of virgin coconut oil. Homemade granola: Not too sweet, homemade granola's a delicious--and inexpensive--way to add coconut oil to your diet and make healthy granola at home. Mix 1/2 cup warm honey or maple syrup and 1/4 cup warmed-up-to-liquid virgin coconut oil. Pour over a mixture of 4 cups old fashioned rolled oats, 1 cup dried shredded unsweetened coconut, 1/2 teaspoon salt and 1 teaspoon cinnamon. Mix the dry and wet ingredients thoroughly. 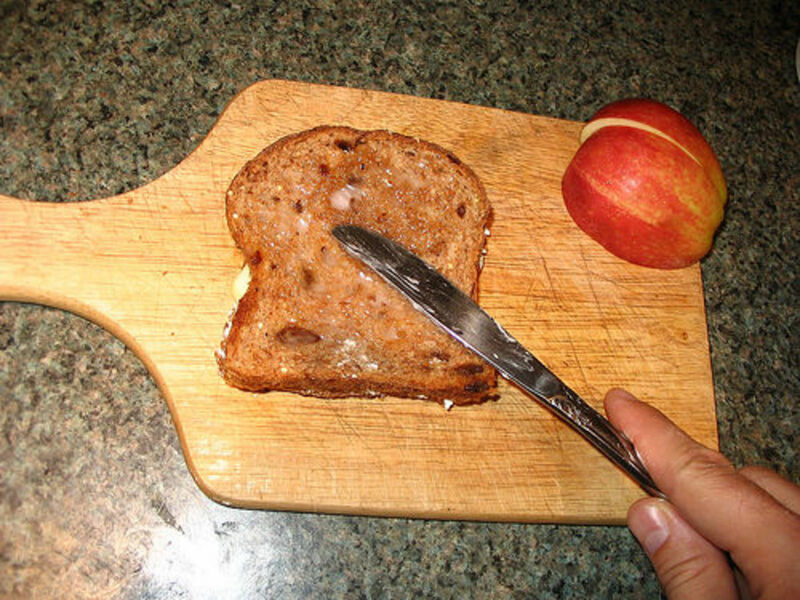 Toast on a shallow baking dish in a thin layer in a 325 degree oven for 45 minutes, or until golden brown. 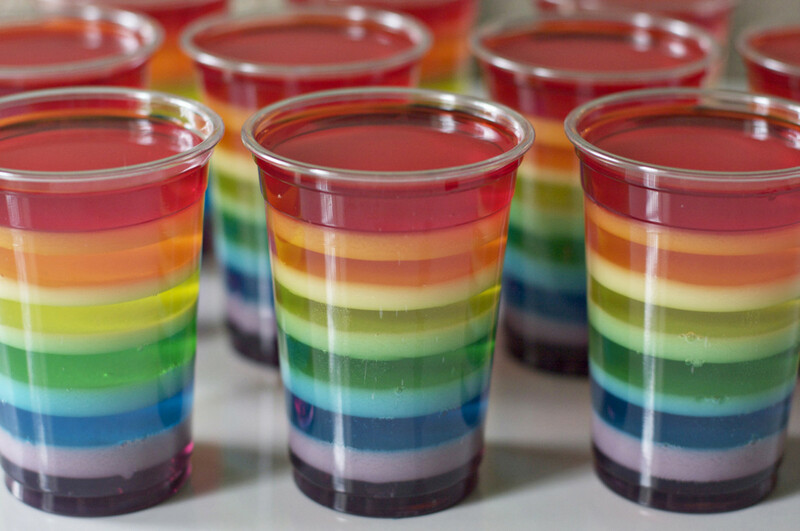 Cool and serve with milk or just as a snack. Does Coconut Oil Have Omega 3 Fatty Acids? Omega 3 fatty acids come from fish, flaxseed, grass-fed beef and some other sources. Although coconut oil has many virtues, omega 3 fatty acids are not one of them. Don't be fooled by false claims. Unless omega 3 fatty acids have been added in, natural coconut oil does not contain them. What coconut oil does have are medium chain fatty acids such as lauric acid. 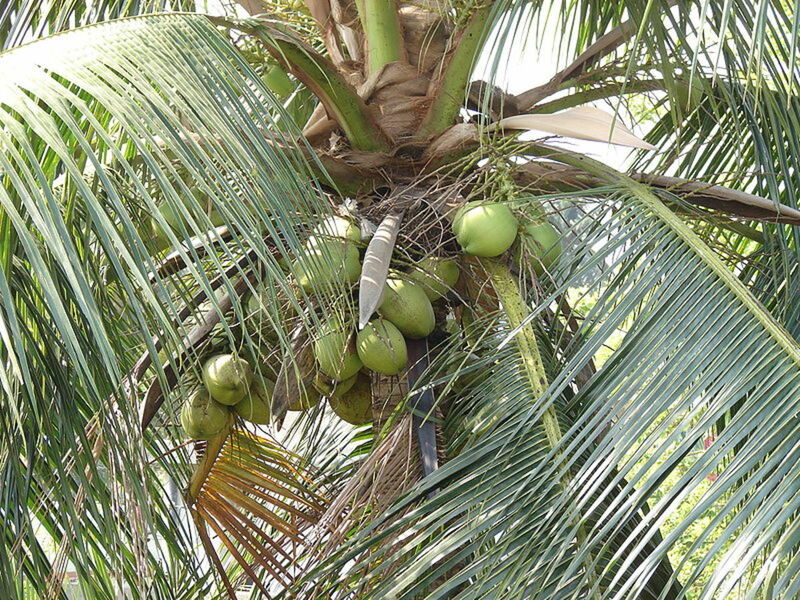 How is Coconut Oil Produced? Coconut oil can be made using one of these processes. New processes are always being developed however, and some of them are proprietary. This is a general breakdown of the types. When you buy coconut oil, check with the specific supplier for the processes used in their products. Chemical extraction: Using chemical solvents and dried copra, the cheap hydrogenated coconut oil is made and deodorized by steam. Since this is a trans-fat, this oil is generally not recommended if you're looking to benefit your health with coconut oil. 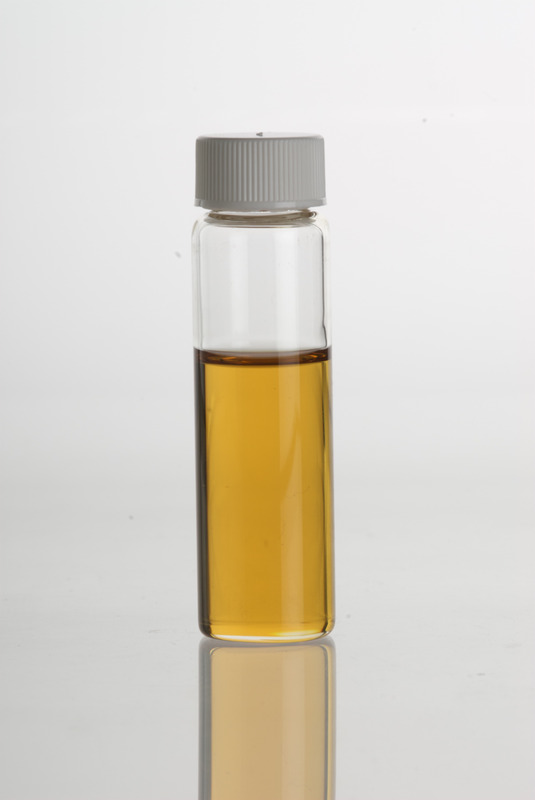 This oil is often sold inexpensively without labels indicating the process used in the U.S. 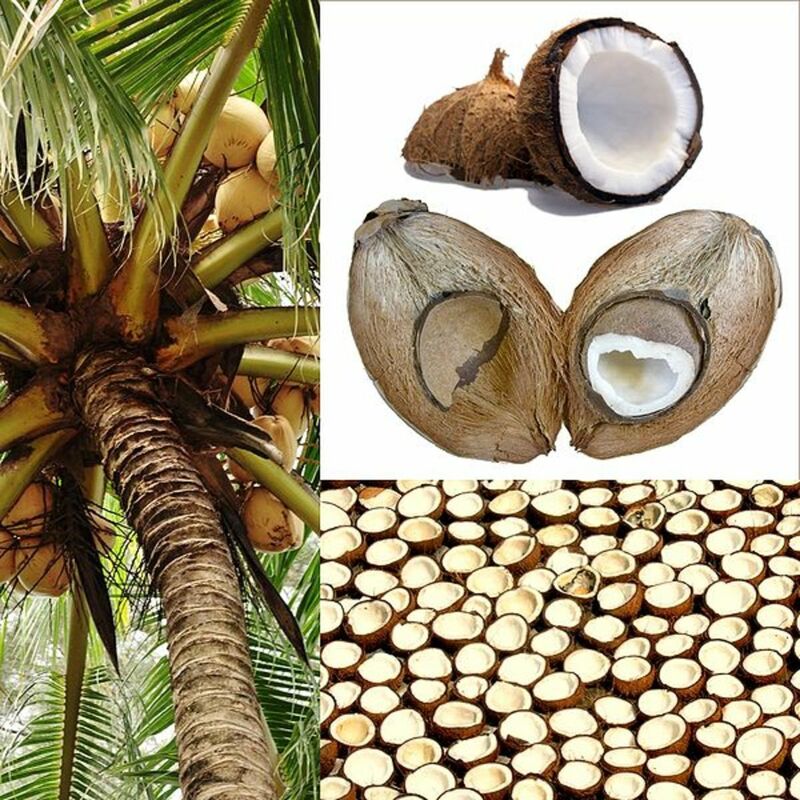 Physical extraction: Dried coconut is mechanically pressed to produce expeller pressed coconut oil. 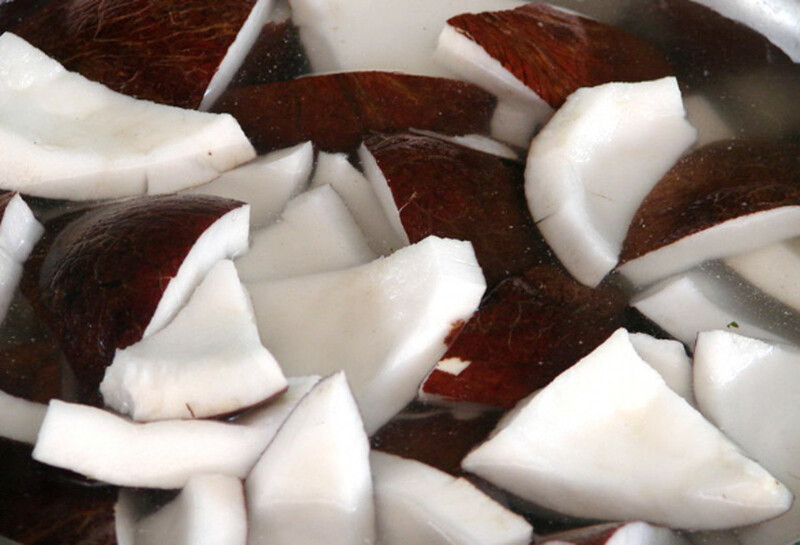 This process preserves much of the purported benefit of the lauric acid in the coconuts. This process makes a coconut oil that is more expensive than that produced by chemical extraction but cheaper than that produced the traditional way. The taste is very bland, as steam is used to deodorize the oil. Centrifuged: Fresh coconuts are mechanically expeller pressed to produce virgin coconut oil. It has a noticeable, but not overwhelming, coconuty taste. 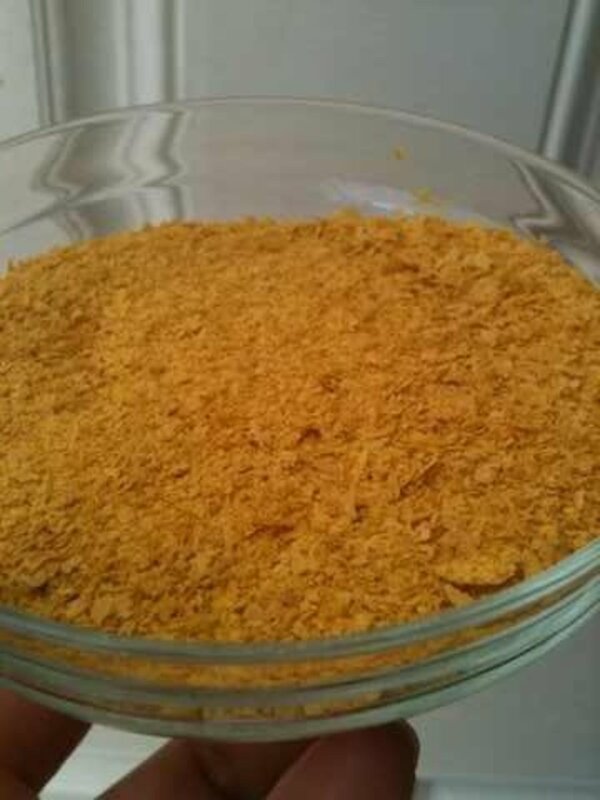 Cold-pressed: Slowly dehydrated coconut is dried and then the oil expressed from the flakes to produce virgin coconut oil that has a more "confectionary" taste. Traditional: Virgin coconut oil is extracted from fresh coconuts in a hand-made, small-batch process. A fermentation process is used that lends a strong taste to the coconut oil that some people like and others don't. This is considered a premium oil, and the price usually reflects that. What are Coconut Oil Supplements? Some people prefer not to incorporate coconut oil into their diet, either because it's too much effort or they don't like the taste of coconut. For these folks, it's quicker and more convenient to use coconut oil supplements in softgel or capsule form. When you shop for supplements, check the ingredients, as sometimes other ingredients are added. Make sure the label says "virgin" or "extra virgin" (even though that's a misnomer). Where Can You Buy Coconut Oil? If you decide to incorporate coconut oil into your diet, then shop around for the best quality and prices so you can stock up. We buy our coconut oil online, simply because we do most of our shopping online for "stock-up" items we buy in quantity. We've bought coconut oil from a company called Wilderness Family Naturals and also from Tropical Traditions, both of which we've been happy with in the past. However, depending on where you live, coconut butter (another name for coconut oil) that's not hydrogenated and that's made from fresh coconuts or copra (dried coconut) using either traditional or modern processes can be found in many stores. Health food stores, vegetarian stores and Asian stores often stock it. Make sure it's certified that it's not hydrogenated. When you buy coconut oil, look for an expiration date. It generally has a long shelf life--from 1.5 to 2 years. When you get it home, open the jar and look at it and taste it. If solid, it should be creamy white, not yellow. If liquid, it should be clear, with no yellowish tinge. Tip: If you buy virgin coconut oil in bulk from a supplier, take out what you need for a few months and store it in a sterile glass container. That way, you don't risk contaminating the larger container. Certified organic coconut oil made entirely using coconuts grown according to federally mandated organic processes is also available. I haven't tried it, but I'm guessing it tastes great and is better for you. To be honest, the organic stuff can get kind of expensive! Making coconuts using a coconut oil mill from dried coconuts--not fresh. 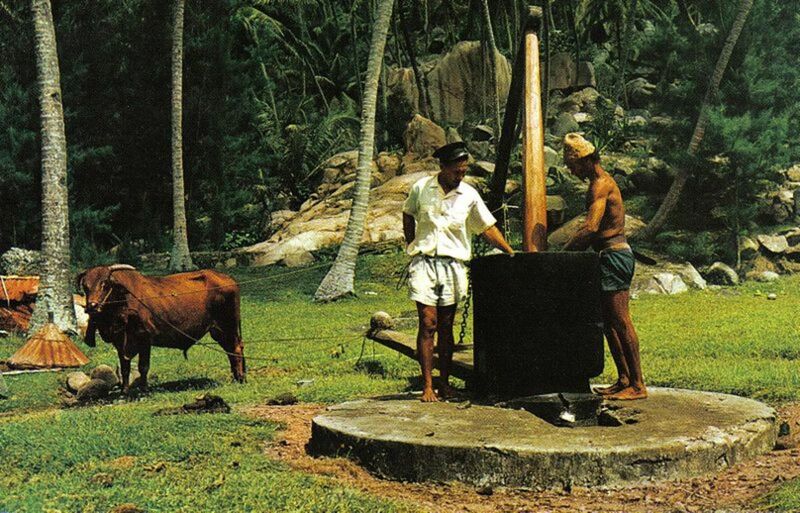 Public Domain photo at: http://commons.wikimedia.org/wiki/File:Coconut_oil_making_Seychelles.jpg. What Is the Difference Between Plain Coconut Oil and Virgin Coconut Oil? Up for this hub. I find this really very interesting and very much informative.